Bundesliga | Schmelzer, Oczipka, Guerreiro or Rahman – who would be YOUR Schalke/Dortmund dream team left-back? 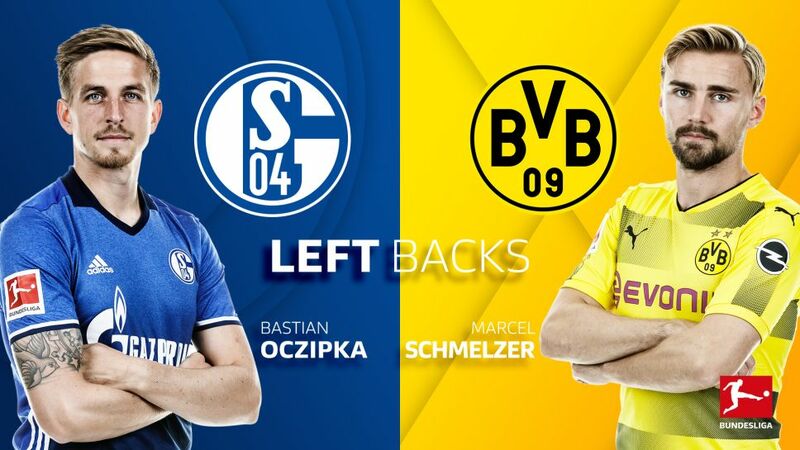 Schmelzer, Oczipka, Guerreiro or Rahman – who would be YOUR Schalke/Dortmund dream team left-back? The four candidates are: Abdul Baba Rahman, Raphael Guerreiro, Bastian Oczipka and Marcel Schmelzer. Cast your votes in the poll below! It hasn’t been the happiest of seasons for Dortmund’s left-backs, who have both had to endure spells on the sidelines with injury. Captain Schmelzer, a player who’s been at the club since 2005 and practically bleeds black and yellow, has been limited to 15 Bundesliga appearances — while European champion Guerreiro has only played eight league games, including one since the start of 2018. The recurring absence of such a wealth of experience and talent perhaps goes some way to explaining BVB’s up-and-down campaign, although Schmelzer at least appears to be back at full fitness for what promises to be a decisive run-in. Schalke’s Baba Rahman also knows a thing or two about injury woes, having been out since tearing his cruciate ligament at the Africa Cup of Nations in January 2017. The Ghana international, currently on loan from Chelsea, is hoping to return in the coming weeks as Schalke try to secure Champions League football and a place in the DFB Cup final at the expense of Eintracht Frankfurt. Oczipka, who traded the Eagles for the Royal Blues last summer, has been one of Tedesco’s most used outfield players this season. Generally stationed a little higher up the pitch, he has come up with 52 crosses and completed nearly 80 per cent of his passes.